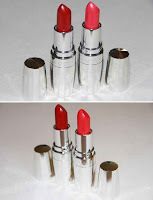 So I'm not sure if any of you readers remember, I wrote 1-2 posts on red lipstick. So let me just start of by giving the lipsticks names. 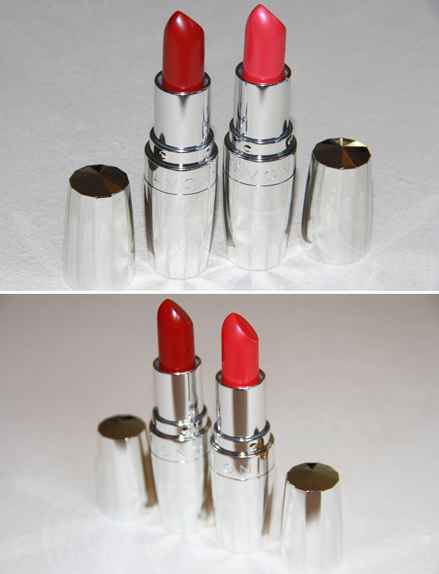 I'm not sure of the exact name of the lipstick as it has just got silver packaging but it is called "smitten red" and the picture below is how it looks. As you can see there is a pink and a red, the red one is the one I have. 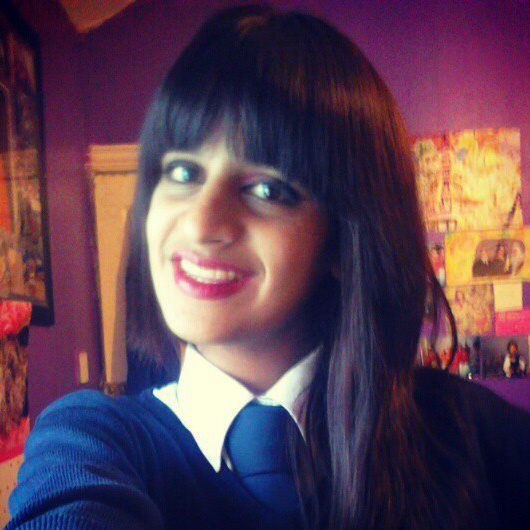 It is very obviously quite bright and wouldn't really suit my skin tone as I have a warm, yellowish undertone. 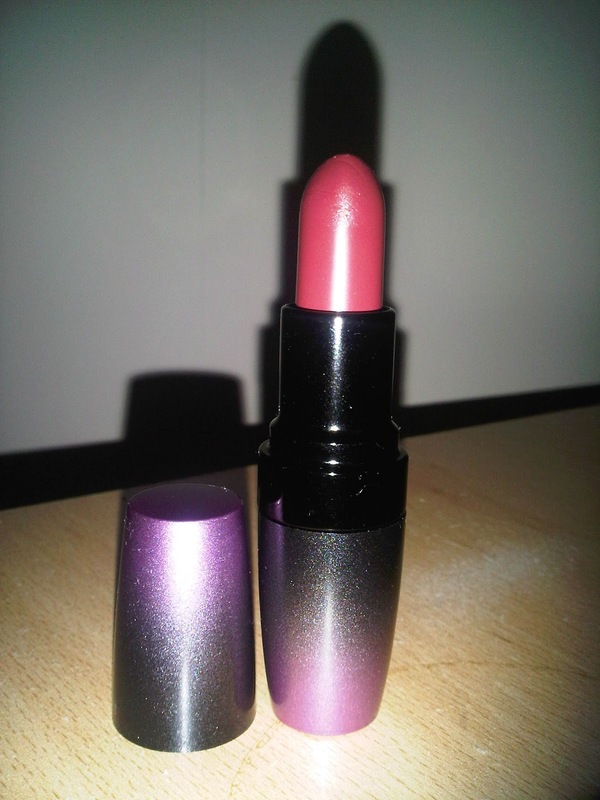 Though I would like to say that the colour result is very very vibrant and the formula is very moisturising. I had quite chapped lips today and I was worried the lipstick would look would but it really moisturised my lips so it all worked out well. The second lipstick I layered on was this Avon one I mentioned in the other red lipstick posts that is called Rose Addiction. This was my perfect red as it wasn't too bright or too deep. 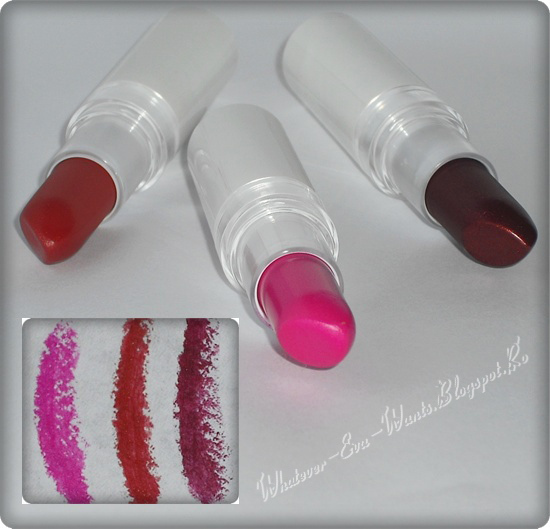 I applied it and it blended really well with the smitten red one. 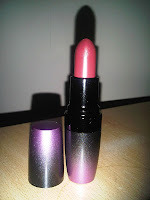 The last lipstick was one from Avon Colortrend range called Lucky Kiss. This is the deep plum colour on the far right of the picture. It was a colour I picked but wasn't sure if it'd look good. But I layered it right on top and it completely finished off the whole thing and gave a nice finish to it and a deeper look, which fit my skin tone perfectly, I feel anyways. I then blotted my lips as I had obviously put on a lot of lipstick and that was it, it lasted about an hour, even when I ate food and drank water. It only lasted an hour because I felt like taking it off eventually but it could have easily lasted a good few hours.